This sock gift set will make the perfect gift for one of your loved ones this year. 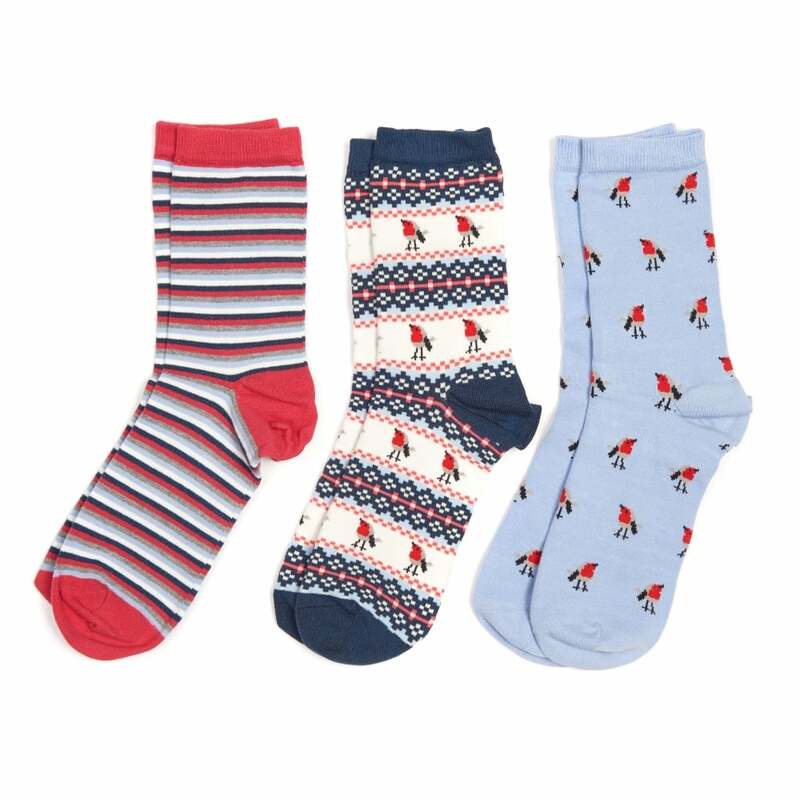 Containing three pairs of socks featuring the “Christmas Robin”, Fair Isle and stripe design. Presented in a Barbour gift box this will be perfect wrapped up under the Christmas tree this year.